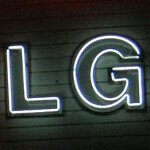 LG is getting close to showing off at CES, the Panorama Note feature that will be available on the LG Optimus Vu: II and other select LG models in 2013. With the wide 3:1 ratio of the "canvas" you can take notes, or scribble away to your heart's content. The resulting image can be scrolled, moved or edited. It's like having a huge piece of paper to write on and using just a little piece of the paper at a time. The image can be zoomed in 5.8x affording you a good close-up look at your handiwork while at the same time, you can easily move arond the screen using cursors. A Mini Map lets you see exactly where you are at in the original note. LG is providing an experimental area at CES where users can check out LG's latest UX improvements including the multitasking users' best friend, QSlide. Other improvements like Live Zooming and Dual Screen Dual Play can also be seen at the zone. The Korean based manufacturer will also make the international debut of its Vu: Talk feature at CES. LAS VEGAS, Jan. 7, 2013 – LG Electronics will introduce a new feature, Panorama Note, on the Optimus Vu: II for the first time at the 2013 International CES, held in Las Vegas, Nevada. Panorama Note allows users to create extra wide 3:1 ratio memos and drawings directly on smartphone displays. guys, read the first sentence...it is a new feature for the LG Optimus Vu II and other LG devices. Alan F.
I didn't think it was that complicated, but apparently, reading comprehension isn't a strong point amongst some of our esteemed peers. Interesting. Is this a mobile device? Article doesn't say. This makes LG look struggling, but unable to make anything out of it.